Entertainment / Movies / J.J. Abrams Sneaks Klingon Screenshot Into MTV Movie Awards - Hint About Star Trek 2? 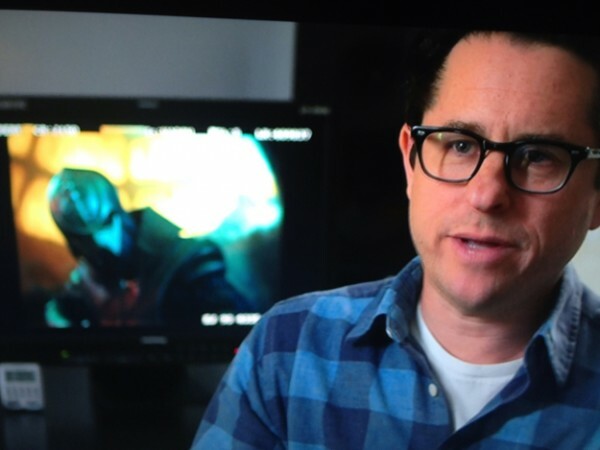 J.J. Abrams Sneaks Klingon Screenshot Into MTV Movie Awards - Hint About Star Trek 2? There’s been a lot of talk about who would be the bad guys in the new Star Trek Movie. Most people are putting their money on Benedict Cumberbatch as Kahn, but the studio is denying that pretty hard. Now we have a possible clue from a parody video that aired during last night’s MTV Movie Awards. IN the background of a funny clip about archery, JJ Abrams has a freeze frame of Klingons in the background. The whole clip is about a fictional archery instructor played by Joel Mchale. Is it a clue or is Abrams just screwing with fans? The new Star Trek Sequel stars Chris Pine, Zoe Saldana, Zachary Quinto, John Cho, Anton Yelchin, Alice Eve and Karl Urban and is set fort a May 17th, 2013 release.